Over the last few years, Anaheim, California has hosted a weekend of Star Wars-themed races throughout the Disneyland theme parks. People from all over the country have participated in a 5k, 10k, and half-marathon. 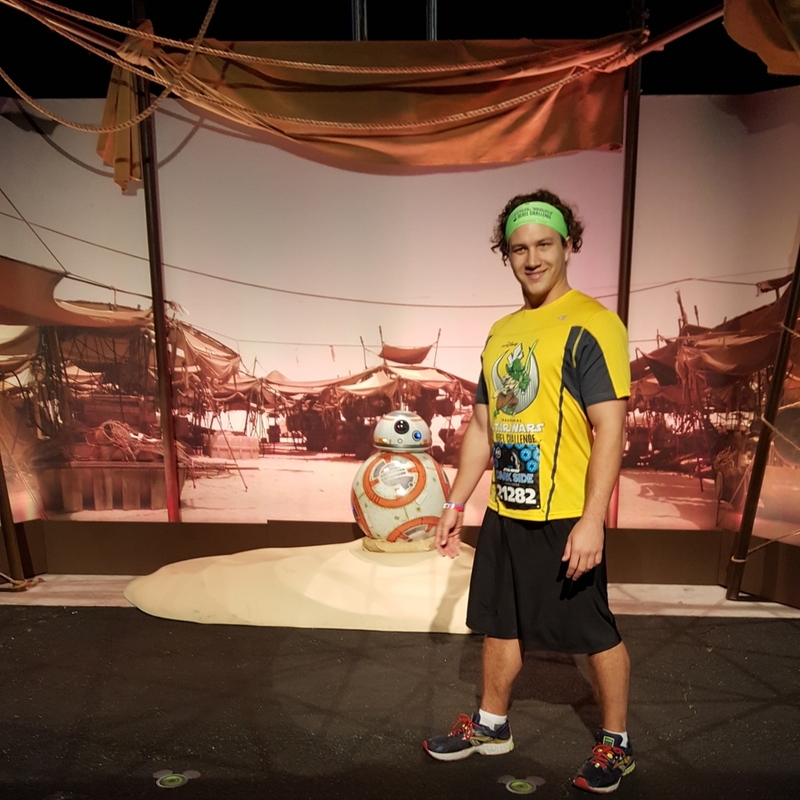 Throughout the course, Star Wars-themed characters and backdrops were available for runners to snap a quick picture on their way to the finish line. To find out more about the California race, please click here or click here for a podcast discussion reviewing the event. Orlando, Florida has now joined in on the fun by hosting their own version of these races titled "The Dark Side". Much like the races in California, a 5k, 10k and half-marathon were held in consecutive days with courses throughout the Disney Parks, hosted by Rudy Novotny and Carrisa Bealert. 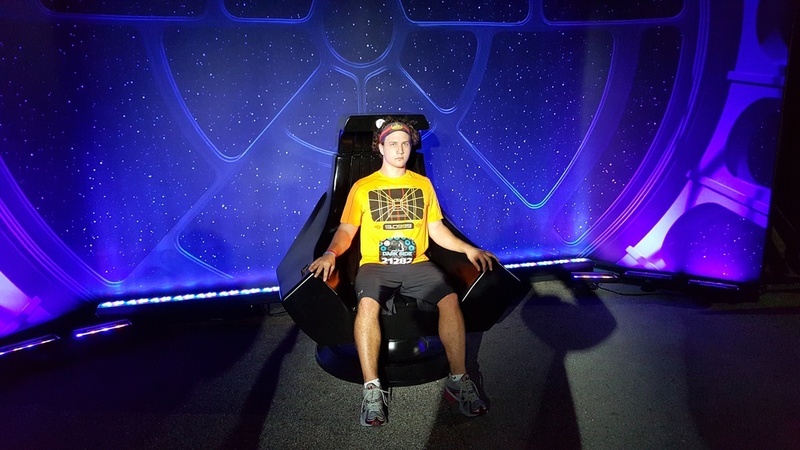 With Star Wars Weekends no longer occurring at Disney's Hollywood Studios every summer, this Dark Side event is a great way to bring Star Wars fans from all over the world together again to celebrate Star Wars. ESPN's Wide World of Sports was the main location for runners to pick up their race packets and purchase official event merchandise. The expo contained merchandise like clothes, car magnets, pins, cups/glasses, and much more. The event merchandise was so popular that some of it was sold out by the end of the first day. While walking around the outside of the expo, First Order Stormtroopers roamed the grounds to take photos with fans of all ages. There was even a location where fans could grab a photo with BB-8. At the entrance to the main expo area, signs for each race were available for runners to take pictures with. 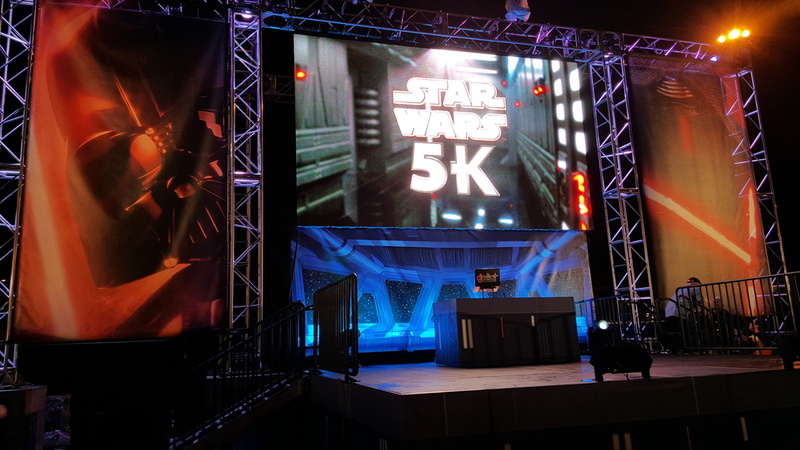 The main screen at the expo featured Star Wars trivia questions and scenes from the movies. There were many panels and shows that occurred at the expo as well. For the Star Wars fans at the event, a few segments of trivia questions took place on the upper level of the exhibition. A show called "Running Through the Star Wars Galaxy" featured a few Lucasfilm canon experts to discuss the Star Wars story along with a few running tips. Many locations around the expo floor offered beverages which you could purchase in an official event cup. The races started no later than 6 A.M., depending on the day. Prior to heading to the corrals, runners were able to take part in a pre-race party. DJ Elliot played some great music on the main stage and Disney had backdrops where Star Wars characters took pictures with fans. Boba Fett, Jabba the Hutt, Darth Maul, Darth Vader, Captain Phasma, BB-8, a Rathtar set, and two First Order Stormtroopers were all available for photos. These characters and sets were also available for photos after each race. Each race course was laid out differently, but for the most part, each course was filled with characters and sets which allowed runners to snap quick photos during the race. During the races, Sabine and Ezra, Chewbacca, R2-D2, First Order Stormtroopers, the Emperor's Throne Room chair, Endor Speeder Bikes, AT-ST legs, and sets of both the Wampa's cave and the Trash Compactor were all photo spots. 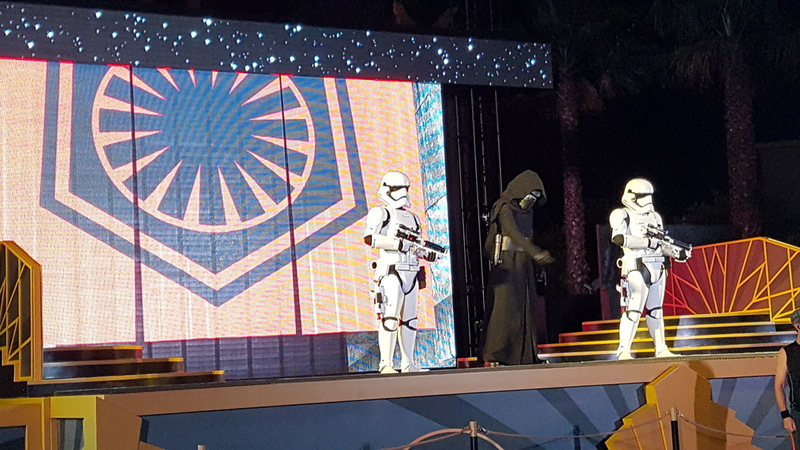 Kylo Ren and some First Order Stormtroopers even made an appearance while runners made their way through Disney's Hollywood Studios. Star Wars music played throughout most of the races and each mile marker featured a Dark Side character or location. If you missed out on this event, don't worry. January 12-15 of 2017 will be the next Star Wars-themed half-marathon weekend which will take place in Anaheim, California. Registration begins on June 14th at noon eastern time. The races fill up fast so make sure you register fast! Click here for the website.